"I CAN HAZ BACON PIG"
"Bacon Makes You Fat. 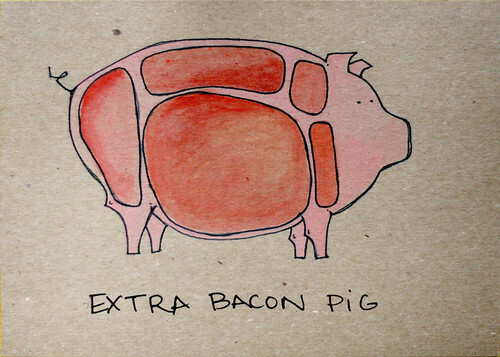 Fat Makes Him Bacon"
Very fine. But, since snout and ears make great dog treats, how about a "doggie delight" meat section painting?